New York City is one of the most prolific cultural hubs in the United States, and it goes without saying that its vibrant art scene is unparalleled. From the Outer Boroughs to Manhattan, independent artists and commercial galleries alike always have something compelling to offer, and happily, the warm weather ahead means that art doesn’t have to be confined to the four walls of artist studios and galleries. Public art in any city is a treasure to behold, and New York is like a giant blank canvas for innovative artists that really want to push the boundaries. Illustration of Agnes Denes’s The Living Pyramid. Image: via Socrates Sculpture Park. 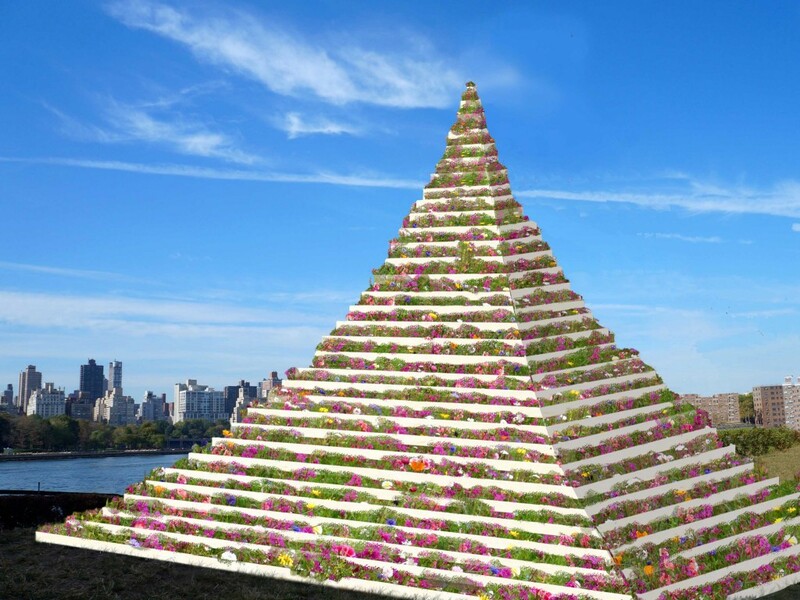 Commissioned by Socrates Sculpture Park, The Living Pyramid is the artist’s first major public artwork in New York City in three decades since her iconic urban intervention, Wheatfield – A Confrontation in 1982. Very few artists can fulfill the moniker of “visionary” and fewer still can match Agnes Denes in breadth, scope, outrageousness, and perseverance. 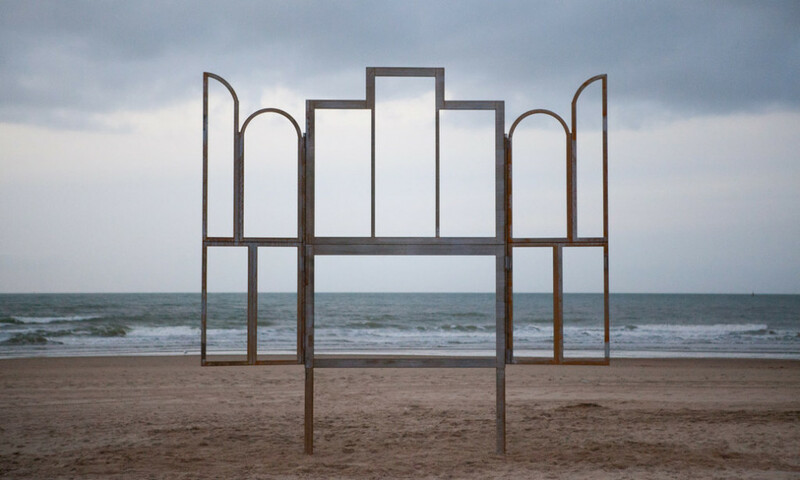 Her work is the product of a fiercely intellectual and distinctive study of semiotics, epistemology, mathematics, history and ecology, which are grounded in philosophical inquiry and social observation. Save the date: The Living Pyramid opens at Socrates Sculpture Park on May 17. Kris Martin’s Altar, (2014). Image: via High Line Art. Save the date: Panorama opens on the High Line on April 23. Don’t miss the amazing public art at the Brooklyn Bridge Park this season. Image: via Public Art Fund. The Brooklyn Bridge Park is another iconic NYC location where public art is plentiful. This spring, the Public Art Fund is presenting Please Touch the Art, a “major new exhibition by Danish artist Jeppe Hein featuring 18 playful sculptures designed specifically for public interaction at Brooklyn Bridge Park.” According to the Brooklyn Bridge Park, Please Touch the Art will feature three distinct bodies of work that feature optical illusions, inspire visitor interaction, and ask that the art being engaged with, and touched. Using materials like water, stainless steel, and wood, Please Touch the Art is bound to be as visually stunning as it is interactive. Save the date: Please Touch the Art opens at the Brooklyn Bridge Park on May 17.